Start planning your corporate team building day with these ten ideas. Your team will grow and develop with these different activities. Teamwork can be fun when you get out of office. These events will make your corporate teambuilding day a success. These old standby activity can be fun and rewarding. You can use a vendor id you have a budget for that event. If you need to save money they consider form teams to plan the event. You form committees for the food, entertainment, games, and clean up crew. As you plan your event remember to have a rain date or be prepared if you have bad weather day. You can have golf scramble, best ball, or low score tournament. Make sure you have special hole with the longest drive marker on a par 5 hole and closet to hole on a par three hole. For your non-golfers have special activities for them at the clubhouse and they may help drive the beverage carts. It is nice touch to have dinner or luncheon at the end of the round of golf. Make sure you get some fun prizes or trophies for awards ceremony. 3. Amusement Park, take you team to a local Amusement Park. If your budget allows it let them bring a guest or their family. Sometimes the Amusement Park will work with you and give a group discount. Ask them if they can sharpen their pencil and give you a group rate. plan a day on the lake or if you’re near ocean for some deep-sea fishing. If you have some local fishing charters shop around and see who will give you the best rate. Enjoy the fresh air, sun, and water with your team. 5. Camping: Outward bound has done this for years to develop teams and to build leadership. This event can be tent camping, backpacking or you could rent a cabin for a possible retreat. The team leader needs to plans the menu and assigned tasks for the group. 6. Canoeing: Take your team out on the river. You can go kayaking, canoeing or white water rafting. Some teams have gone tubing down a river. Be prepared to have some dry clothes at the end of trip. This is great way to pay it forward. Your team could help out a local school, charity or church. When your team helps a local non-profit organization, the team will feel good about their contribution to the community. Take your team to local college or Professional sporting events. Many times the travel to and from the event is as rewarding to team as watching the event. This team-building day is always a hit with your sport fans. Visit a ropes course or obstacle in your area. Many times your Boy Scout camp, YMCA or college may have access to ropes course. This activity will help your team bond and learn about teamwork. It is good idea to have some box lunches ready when your team is done with event. This is blast! Be ready to have some fun when your team breaks up into the teams. You can play capture the flag or just have some war games. Enjoy! Give your team gift baskets at your next event: GiftBaskets.com, Inc. Style blinky? What’s a blinky? They’re the latest addition to the HRDQ Style Series, that’s what they are. Cool, light-up buttons you can give to your audience as a learning takeaway. Everyone will enjoy will enjoy wearing their personality “on their sleeve” – or any other part of their shirt. Blinkies are magnetic, so they’re easy to display in workspaces and they won’t harm clothing. These buttons are fun, flashy, and your participants will want them! But in all seriousness, Style blinkies aren’t just about bling. They’re an excellent way for participants to build rapport with others, build style awareness, engage in Style “talk,” and hopefully serve as a friendly reminder that flexing one’s style is the key to effectively interacting with others. Great Movie for ever Golfer ! 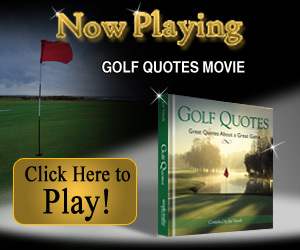 If you love golf, you're going to love this 3 minute movie! If you don't love golf, but know someone who does, make sure to share it with them! You'll make their day! So, sit back, turn up your speakers and enjoy...Great Quotes about a Great Game! Funny Employee Awards PDF Create and Print Your Own Funny Awards in Just Minutes! PDF download includes 101 Hilarious Printable Certificates + 6 Blank Templates for making up your own Funny Awards! Purchase now and start using right away!..